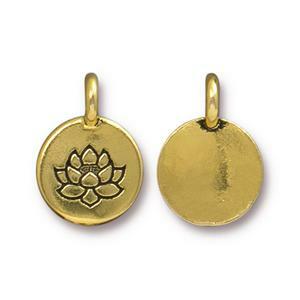 TierraCast Round Lotus Charm, Antique Gold Plated Pewter. Approximate measurements: 11.5mm wide, 16.5mm long, including loop. Per piece.